Hemp bracelets are a popular jewelry accessory in surfer culture because of the waterproof nature of hemp and because a hemp bracelet, if made right, will not come off the wrist, even in the most extreme of activities. Making a hemp bracelet yourself is a process of braiding numerous strands of hemp together. After preparing the hemp for braiding, you can customize your hemp bracelet with beads and other jewelry. Measure your wrist. Cut a hemp strand that is roughly five to six times longer than your wrist measurement. Cut another hemp strand twice the length of the first strand. Fold both hemp strands in the middle and make a crease in each one at the middle point. Make a knot at the midpoints of both strands together. Leave a loop on the end of the knot point about 1/2 inch long. Safety pin the loop you just made onto fabric or the back of a car seat. You can also put something heavy on the loop to secure it in place. Take the four hemp strands together, arranging them with the two short strands in the middle and one long strand on either side. Create a “figure four” with the strands by guiding the rightmost strand over the short middle strands, then pass it under the other long strand that is on the left. Hold the “figure four” in place. Take the left, long strand and pass it under the short middle strands, then pull it up and through the “figure four” you created in the last step. Pull the outer, long strands to tighten this figure. Knot the hemp and add beads until the bracelet is the desired length for your wrist. Tie all four strands together in a single knot. Pass the knot through the loop and tie the loose ends around the loop. 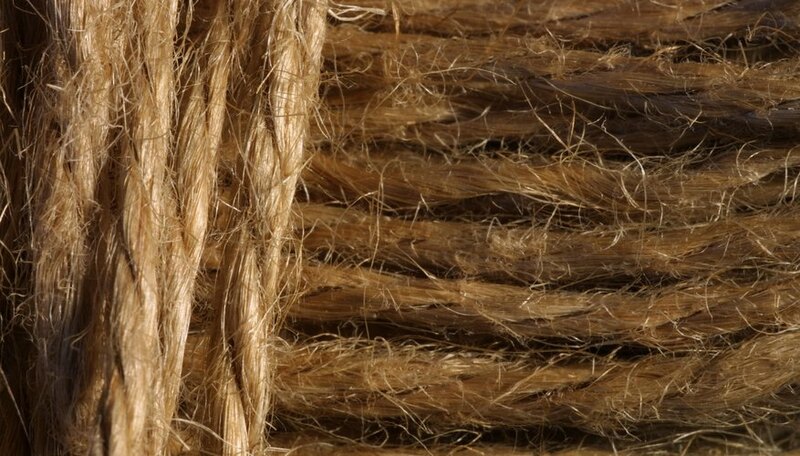 Trim off the excess ends of hemp.